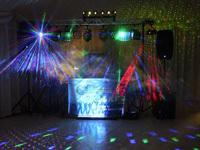 "Professional Mobile Disco For Every Occasion"
We are a professional mobile disco and roadshow with a high quality sound and lighting system whilst remaining true to our roots (we still use vinyl!). 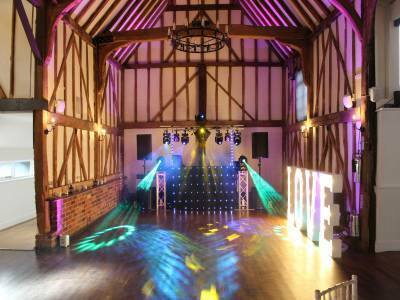 Our set up is flexible which means we can cater for events from 25 to 2500+ people. 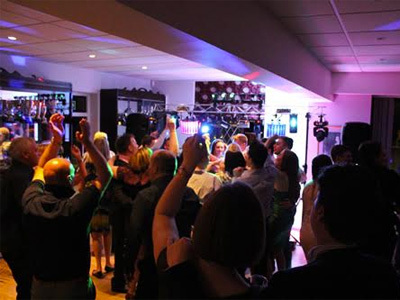 Hosted by DJ/MC Robbie Collins who has over 20 years of mobile disco and nightclub experience we are confident that we can provide the finest entertainment for every occasion from weddings to birthday parties to corporate events to themed nights, such as our seventies or eighties nights, and more. We have a huge collection of music collected over many years at our disposal. Like the music, we've moved with the times, first it was vinyl, then it was CD and now, MP3. Add them all together and we have something for everybody. Pop, rock, dance, 70s, 80s, fast, slow, yep, we have it all. We can find that special song for that special occasion and if you want to give us a playlist, then why not, but remember the rule - you've gotta be able to dance to it! Required by many venues, Disco Inferno has a current PLI policy with National Association of Disc Jockeys in the amount of £10 million. Also required by many venues, Disco Inferno has supplied satisfactory evidence of holding current PAT inspections of their equipment dated within the last 12 months. A Method Statement, outlining Disco Inferno&apos;s Health & Safety procedure for setting up disco equipment has not been supplied. Why do people choose to book Disco Inferno? "Robbie was fantastic, so professional, helpful and friendly, I would definitely recommend him! " "Robbie was excellent, we gave him a very varied playlist for my daughters 21st and he delivered. He was in touch by email before the event and arrived early on the actual day despite his car blowing up, I would not hesitate in recommending him for any event, thank you Robbie a great night was had by all"
"Thanks, glad you had a great night and was impressed with you and your guests formation dancing and singing which made for the great night. Despite the issues with the car we always have a plan B in place to ensure we arrive on time and it worked as planned. " "Fantastic dj! Perfect for a 50th birthday. Played a range of music including requests and the playlist required. Would Highly recommend Robert "
"Thanks and glad everyone enjoyed it. The music chosen by you and your guests for the night had some great variation (Ska, Reggae, and Old Soul alongside newer stuff and classics) and it was good to see the great reactions on the floor all night." "Robbie was brilliant everyone enjoyed the music he played - communication with him prior to the event was excellent - I would definitely have him again and recommend him to anyone." "Thanks for your kind words, I had a great night playing for you and your guests, hope to provide our Disco for you again, Cheers Robbie"
"Robbie was absolutely brilliant and I am so pleased to find him through you. He knew it was a medieval night and he even dressed up for the part. The lighting, music and Robbie himself were all fab. Our guests were very impressed. I would definitely recommend him and would have no hesitation in booking him again. What a find! " "Thanks, glad everyone enjoyed it and it was a pleasure to play at your Medieval Night and was fun dressing up as well, Cheers Robbie"
"Couldn't be happier with Rob. He was a lovely guy and made the night a fantastic one for my mums birthday. Charlotte "
"Thanks, was a top night and you were a great crowd who danced all night, glad you enoyed it, Robbie"
"Fantastic, the DJ really made the party work. Thanks for everything." "Great hosts, great crowd and a great night, makes my job a pleasure, Cheers Robbie"
"Robbie made a personal visit to our house. Very friendly and asked for details of the type of audience, ages and what music we preferred. He arrived on time,set up without any fuss and interacted when required with the guests. Went on for as long as was requested and cleared up his equipment with minimum fuss. Overall well satisfied." "Was a great party to play at, very relaxed atmosphere and got the chance to play some different older rock tunes which made a nice change, Thanks, Robbie"
"Robbie provided an excellent service, I could of chosen a playlist however I left it to Robbie who got it just right, I would have no hesitation in recommending him, professional and more than willing to play requests when asked, nothing was too much trouble and a great day was had by all." "This is the kind of party you want to play at every week, a great host (thanks for the BBQ), a great friendly crowd and an 8 hour musical journey, glad you enjoyed it." 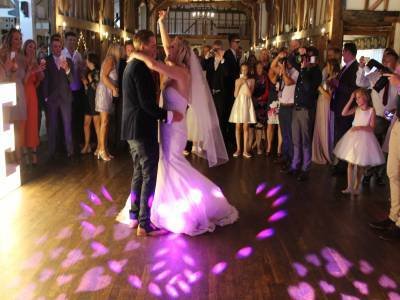 "Provided an excellent evenings entertainment especially for a wedding." "Thanks for your great review, thoroughly enjoyed the night and your friends and family were a great crowd to play to." 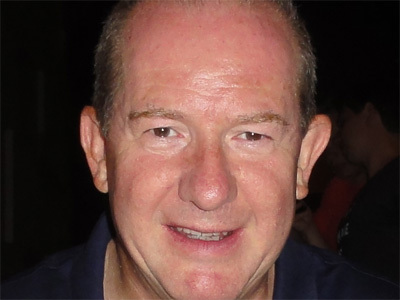 "Robbie was a fabulous DJ for my party, great music selection and such a nice guy. What really made the difference was that he seemed to enjoy himself almost as much as me and my guests which made for a great atmosphere. Thanks Robbie!" "Had a really good time playing at your party, you and your friends were a great crowd and made my job a lot of fun, Cheers, Robbie"
If you are contacting Disco Inferno about an event, it's always a good idea to include the DATE, LOCATION, EVENT TYPE, AGE GROUP and TIMINGS to speed things up!